Different tourist spots in Cagayan for your itinerary (3 days, 2 nights). A three-day, two-night tour in Cagayan province may not be enough especially if you want to visit so many places from Tuguegarao, up to the old churches in the province, the caves, the beaches and the islands. But if you are like us who want a taste of this province, this itinerary might work for you. 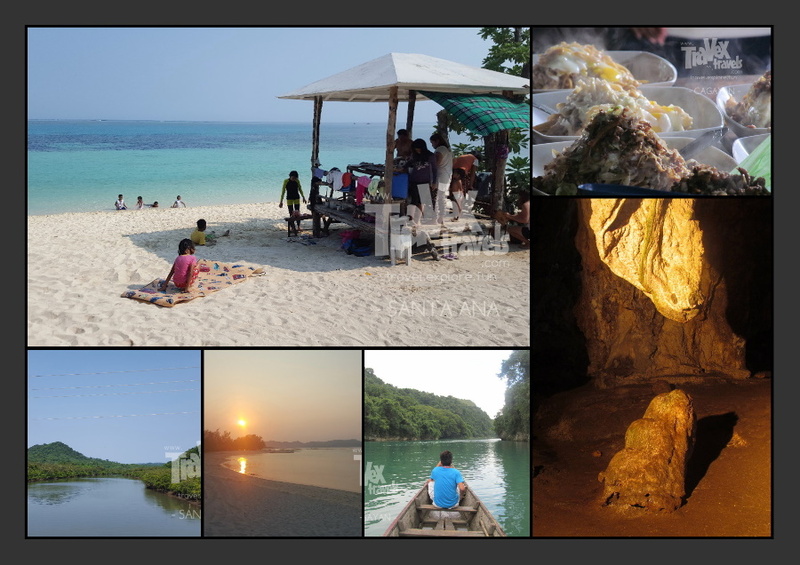 If you plan to visit Cagayan, you may want to follow what we did. However, when we went there, our schedule was a balance of sightseeing tours and immersion. This Cagayan tour itinerary for three days is just a mere suggestion. Had a simple breakfast, we woke up late because the overnight bus ride was exhausting. Enjoyed the cool weather. Enjoyed the “nilagang pata” cooked by my friend’s brother. It was really good! Mingled with local Cagayan people and my friend’s family. We toured around Tuguegarao City. We went to Tuguegarao Cathedral. Quick stop at Tuguegarao Cathedral. Went back to their house and ate dinner, plus a bunch of local stories in the dead of night! Woke up early and prepared for Day 2 tours. Dipped our bodies in the cold waters of the river in Cagayan! We arrived in my friend’s house. Ate a special Christmas dinner, plus another set of stories in the night! Went to an eatery in downtown Tuguegarao and tasted an Ilocano “lauya” or nilaga. The best! Went back to house and prepared our things for a night in Aparri. Arrival in Pangasinan and finally back to home! *We seated at the center aisle because it was Christmas time and my friend know somebody from the bus company, so I don’t know if the conductor charged us a lower fare. **I did not spend on the accommodation and most of my meals because I stayed in my friend’s house (who is from Tuguegarao). Actually, it should be four days and three nights, however I excluded the days which almost half of it were spent in traveling. You can always tweak this itinerary. The summary of this is: visit the Tuguegarao Cathedral and taste the different versions of pansit batil patung, pansit cabagan and Ilocano dishes, visit Callao caves, experience Mororan and swim in Cagayan river, then visit Aparri for seafood, “ludong” and its beaches. Along the way, you can visit the old churches. On next post I will be presenting an itinerary for Santa Ana, Cagayan which has more sightseeing and activities to offer.